Minimum quantity for "Absolute Organic Spaghetti 500g" is 1.00. Minimum quantity for "Ceres Organic Quinoa Rice Penne 250g" is 1.00. Minimum quantity for "Ceres Organic Quinoa Rice Shells 250g" is 1.00. Minimum quantity for "Ceres Organic Quinoa Rice Spaghetti 250g" is 1.00. 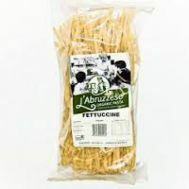 Minimum quantity for "L'Abruzzese Duram Wheat Fettucine Pasta 375g (SA)" is 1.00. Minimum quantity for "Nocelle Foods Cous Cous Duram Wheat per kg ORGANIC" is 0.50.